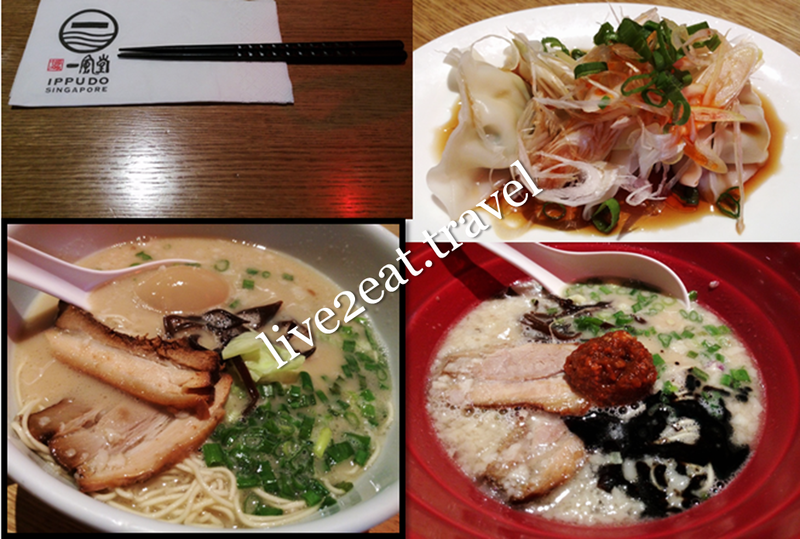 Happened to be in the area when one of my dining companions suggested having dinner at Westgate's Ippudo, which I of course had no objections to since the Japanese restaurant is ranked as one of my top 3 bowls of ramen in Singapore. It was founded in 1985 by Shigemi Kawahara, the internationally-acclaimed Ramen King and CEO of Chikaranomoto Company. According to its website, there are more than 120 branches worldwide including 80 in Japan. The rest are located in Australia, Hong Kong, Indonesia, Philippines, Singapore, South Korea, Taiwan, Thailand and the United States. Having eaten at Mandarin Gallery's and Mohamed Sultan's Ippudo, and preferring the former to the latter, I wanted to try at this branch. It was a weekday and we were there for dinner before the queues started. Ordered my usual Shiromaru Tamago – classic Hakata-style ramen in tonkotsu broth with flavoured egg, and chose medium hardness for the noodles over soft, hard and very hard. Served with melt-in-the-mouth tender and well-marinated bara chashu as well as cabbage, kikurage or black fungus, and spring onion to intersperse the pork belly that had just the right amount of fats. Broth was thick and flavourful, the way I remembered it to be, though could neither rave about nor fault the springy thin and long ramen. No complaints about the perfectly soft-boiled egg with runny yolk while Spicy Boiled Gyoza was nothing to shout about. Stick to the pan-fried dumplings which I almost always order, partly because the portion of ramen was a tad small to fill my hungry stomach. Its buns are good too. My dining companion, who was trying Ippudo for the 1st time, did not like Akamaru Shinaji. The refined modern-style ramen was different in that umami-dama (special-blended miso paste) and garlic oil were added. So the broth was not only oily, but also bitter and strangely lacked an aroma of garlic. Also, the noodles were coated with a shining layer of oil. 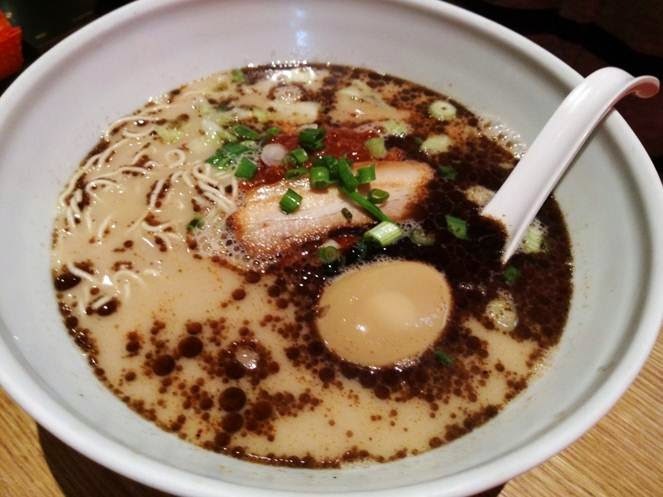 You may also be interested in Chabuton and Ramen Keisuke Tonkotsu King.